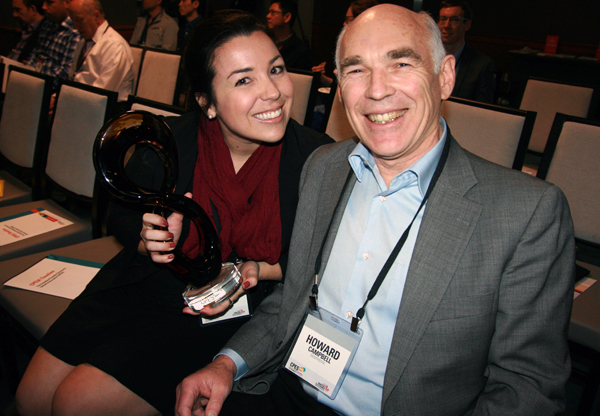 A smart textile manufacturer and graphic display maker became the first recipients of the Canadian Printable Electronics Industry Association (CPEIA)’s inaugural Innovation and Commercialization awards during a ceremony today at the Canadian Printable, Flexible and Wearable Electronics Symposium (CPES2016). Toronto-based Myant & Co. received the Product Innovation Award for Vagalume, its new luminescent line of clothing, while Montreal-based Memtronik Innovations was given the Commercialization Award for responding to a retail customer’s request on especially short notice, according to CPEIA president and CEO Peter Kallai. Both awards were open to all for-profit CPEIA members, with the product innovation award requiring applicants to submit a description, market, competitive advantage, and problem being solved by their product; while the commercialization award required organizations to submit a case study illustrating their ability to build partnerships, reach new customers, and respond to opportunities in the marketplace. 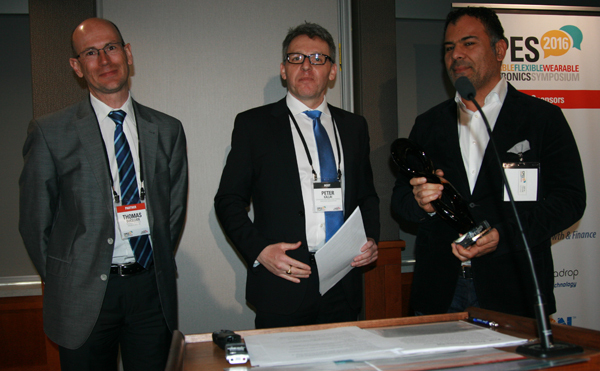 The winners were chosen by a three-judge panel that included Kallai, the National Research Council of Canada’s Thomas Ducellier (below), and André Dion, general director of Montreal’s Institut des communications graphiques et de l’imprimabilité (top image, second from right). Vagalume, which means “firefly” in Portuguese, is a line of athletic apparel that uses electroluminescent technology to glow, enhancing the wearer’s visibility (and safety) at night. Like other smart textiles, the line is paper-thin, flexible, and fully machine washable. “Electroluminescence has been around for many years, but what is unique about [Vagalume] is its flexibility and washability, and incorporation with the textile to make sure that it actually works seamlessly together with the application,” Kallai said. 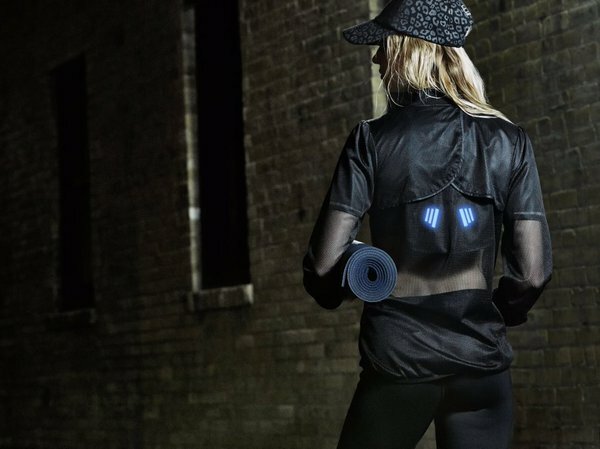 Vagalume clothing uses electroluminescent technology to create its own light, increasing the wearer’s safety at night. Memtronik, meanwhile, normally specializes in custom membrane switches, graphic overlays, and electroluminescent products with five-week lead times, but according to business development executive Howard Campbell when a retail customer ordered a project that required specialized engineering and software design, capacitive sensors, and LED lighting on a Thursday for delivery the following Monday, the company hopped right to work. CPEIA had made two other awards available, in academic and industrial categories, but there weren’t enough applicants to include them.